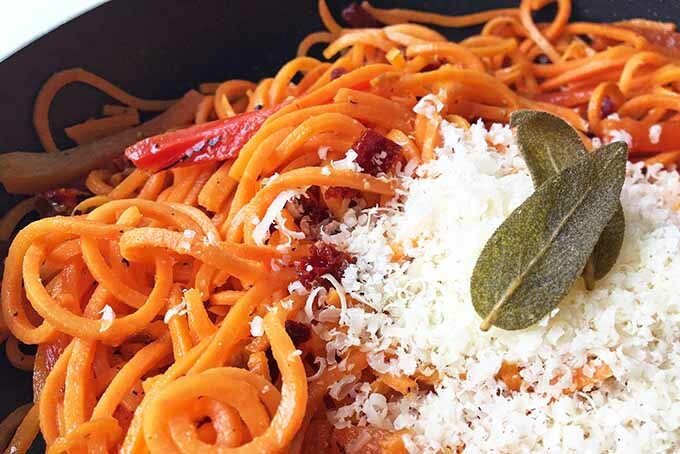 Are looking to reduce your carb load and substitute in healthier veggies for wheat-based pasta? Or maybe you are gluten-intolerant and can’t have regular wheat? If so, spiralized veggies make for excellent noodle replacements. 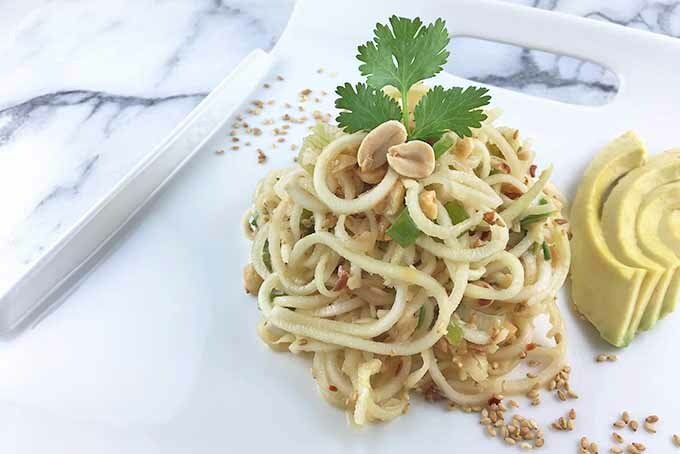 Although the most common vegetable for spiralizing is zucchini (commonly called “zoodles”), any firm fruit or veggies can be made into noodle like shapes using an inexpensive spiralizer machine. Find some of the best recipe idea down below! Looking for a new way to put your beets to good use? Maybe you’re tired of the tried-and-true juicing and pickling routes. 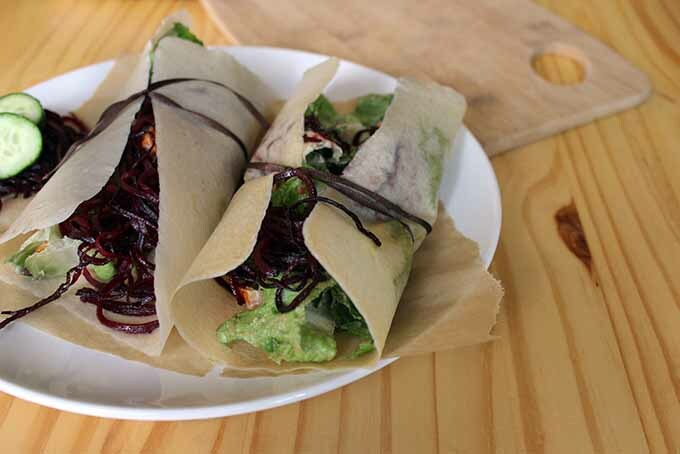 How about spiralizing them, and adding them to wraps? If you answered yes to all of the above, we have the perfect recipe for you. Not only is it super healthy, it also comes together quickly, requiring just a little cooking and chopping. Get the recipe here on Foodal, and read more now! 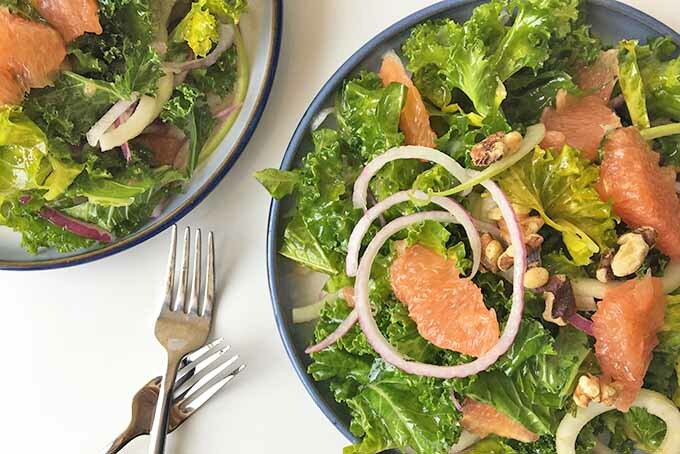 Want to make a more interesting salad with a texture and shape that’s not seen every day? 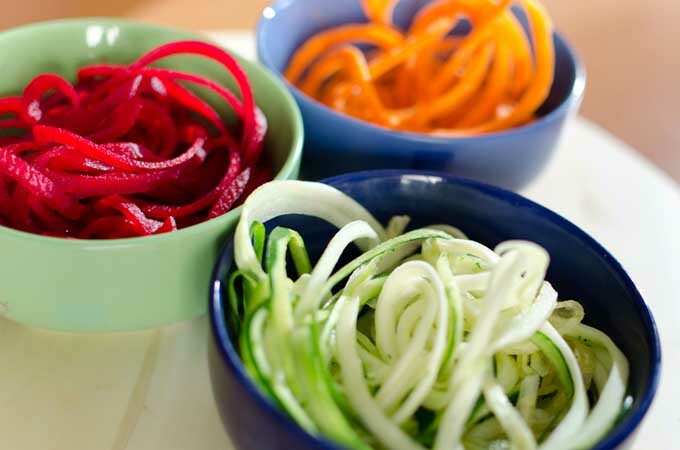 Slice up your vegetables using a spiralizer. This will make your meal “pop,” and the little bit of extra effort is totally worth the appearance. 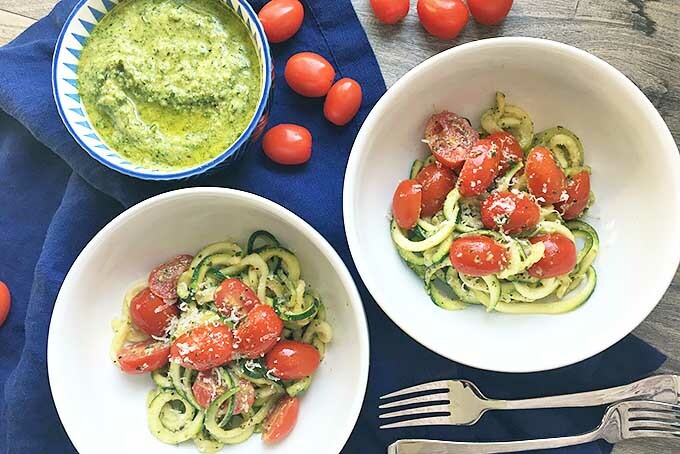 Are you looking for a healthy spiralizer recipe that’s quick and easy to make? 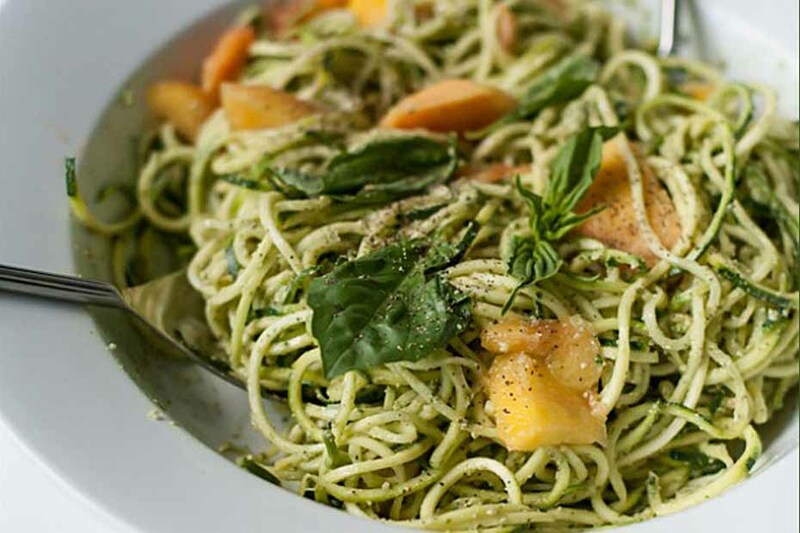 Try this vegan Zucchini Spaghetti with Peaches and Pumpkin Seed Pesto we adapted from the Vibrant Table cookbook. 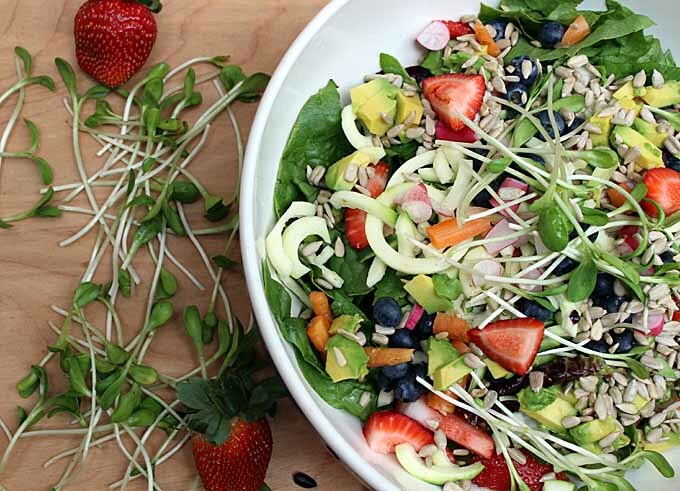 Low in calories and high in nutrients and taste. Get the recipe on now!